Network research suggests that a team topology balancing familiarity (via cohesion) and diversity (via brokerage) is the key to success. We go beyond the duality of brokerage and closure by adopting the concept of structural folding – the generative tension in overlapping cohesive groups. In elaborating the causal mechanisms at work in structural folding, we hypothesize that the effects of structural folding on inventiveness and on creative success are especially strong when overlapping groups are cognitively distant. Teams are most likely to produce game changing creative success when their cognitively heterogeneous communities have points of intersection. We draw on work on topologies of knowledge in the field of semiotics to conceptualize the role of folding in channeling and mobilizing the productive tension of cognitive distance. To test our hypothesis about structural folding and cognitive distance, we study the historical mechanisms of team reassembly in the video game industry. We collected data on 12,094 video games that were produced from the inception of the industry in 1979 to 2009. Because we measure inventiveness independently from critical success, we can test whether teams with structural folds that span cognitively distant communities are able to develop distinctive products that are, at the same time, recognized as successful in the video gaming field. 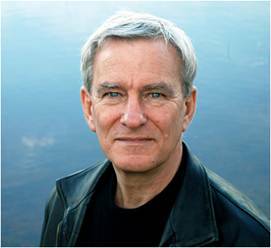 David Stark took his Ph.D. at Harvard and is today Arthur Lehman Professor of Sociology and International Affairs at Columbia University where he directs the Center on Organizational Innovation. At present he is Visiting Professor at the Department of Organization at Copenhagen Business School. His most recent book, The Sense of Dissonance: Accounts of Worth in Economic Life, was published by Princeton University Press in 2009. Stark studies how organizations and their members search for what is valuable. To visit Stark’s homepage click here. Please register to :alh.ioa@cbs.dk no later than 02.05.2013. The seminar is free of charge and for everyone who might be interested - academics or practitioners alike. The seminar will be in English.